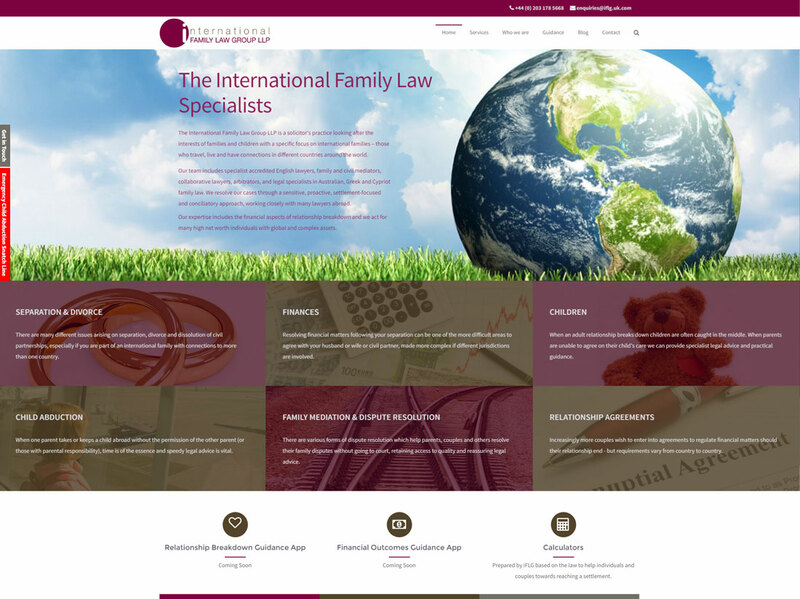 Noisegate have worked with the International Family Law Group for a number of years, initially developing their website in Drupal. Since then we have developed a number of online tools, including a set of questionnaires that help users investigate what legal options might be available to them in the case of a relationship breakdown and online calculators for spousal maintenance and divorce settlements. We have also been reviewing the user experience for their vast library of resources on a regular basis.